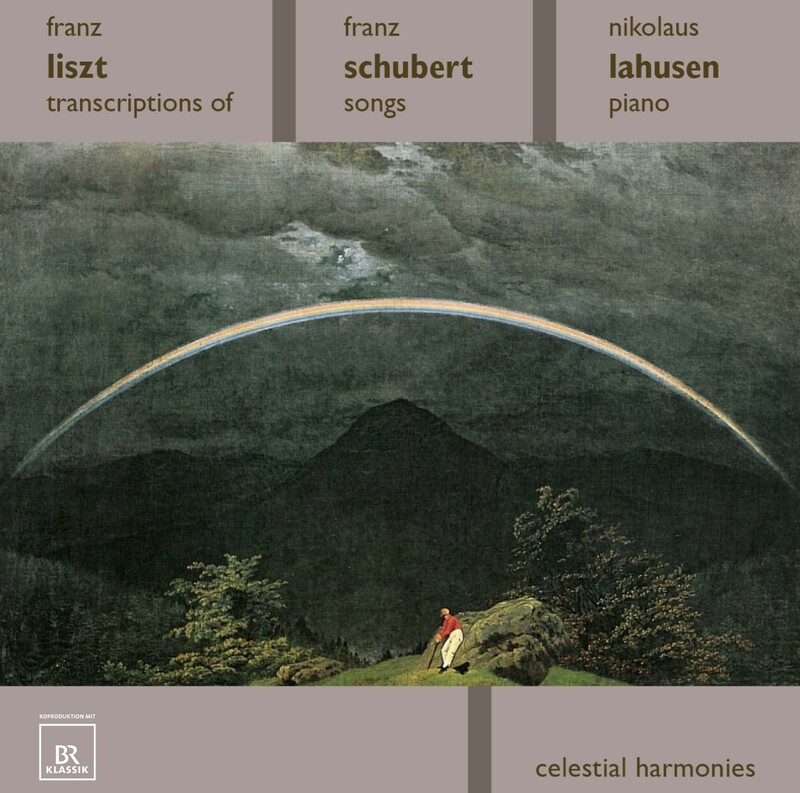 This is Nikolaus Lahusen’s first recording of Franz Liszt works, although it could be considered his third recording of Franz Schubert’s works for Celestial Harmonies. It features Liszt’s transcriptions for piano solo of Schubert’s works, with the vocal parts of the original ‘lieder’ taken over by the piano. The transcriptions presented here adhere closely to Schubert’s original compositional structure without any paraphrasing or free fantasies. Commenting on his new recording, Lahusen writes ”After recording works of Franz Schubert on the Graf fortepiano (Hammerflügel), I am coming back to Schubert, this time with Liszt’s assistance and on a modern Fazioli piano. The magnificent Valse Sentimentale A Major provides a little bridge between the two very different CDs since it is recorded on both. For me, the transcriptions are primarily works of Schubert that have been elevated to piano works in their own right thanks to the unique talent of Franz Liszt as both a pianist and composer. The complex various levels of the transcriptions, consisting of two to three autonomous piano accompaniments and one line of melody, is what makes the pieces so appealing to the pianist. Likewise, this is what gives the works their high educational value: Liszt himself taught these works well into his elder years. For Celestial Harmonies, he has previously recorded Orff-Schulwerk, Volume 3: Piano Music (13106), The Complete Works of M.K. Ciurlionis, Vols. 1-3 (13184, 13185, 13222), Franz Schubert Sonata B Flat Major D. 960, 3 Klavierstücke D. 946 (13195) and Franz Schubert Sonata D Major D. 850, 34 Valses Sentimentales D. 779 (13221). On Whitsunday, May 15th, 2005, Nikolaus Lahusen passed away after having fought cancer since 1998. Because of his illness, he went through two periods where he was unable to perform. "But his attitude," company president Eckart Rahn says, "was always forward-looking and positive. He added much to my life and work." 2 Sei mir gegrüßt 5'20"
4 Ständchen (Leise flehen meine Lieder) 6'16"
5 Du bist die Ruh 5'42"
6 Gretchen am Spinnrade 4'10"
8 Der Müller und der Bach 6'18"
11 Lob der Tränen 4'15"
12 Auf dem Wasser zu singen 4'30"
15 Soirée de Vienne Nr. 6 (d'après Franz Schubert) 7'46"